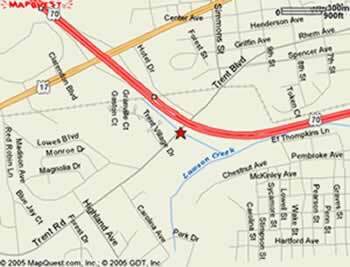 We are located on Trent Road in New Bern, NC. We were founded in 1997 by Curt Williamson and started out as one little shop with a limited menu. Now we have seating for 80 patrons and have grown three times our original size, serve many varieties of gourment foods, and cater to many events and local businesses. 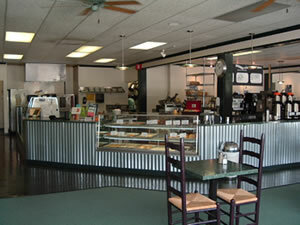 Take a look below for directions, how to contact us, and more pictures from inside Kitchen on Trent. 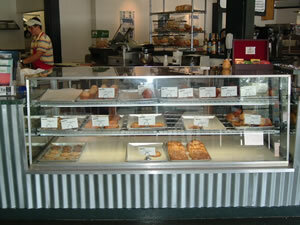 This is our pastry case located on the left side of the restaurant. 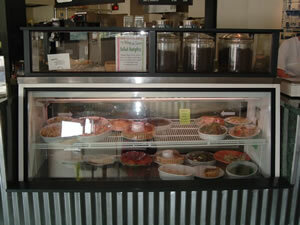 This is where you will find all of our prepared salads as well as some of our hot items. Fill out a comment form here!